There are a few important differences among these systems though. The flagship HiSeq X can output 900 gigabases of data per flowcell in 3 days while the HiSeq 3000/4000 only output 750 gigabases in a slightly longer time frame of 3.5 days. This seems odd to me because to me it makes more sense to release the HiSeq X as a standalone sequencer, but from a marketing perspective I can understand why they did this. It keeps separation between the product tiers, however marginal the difference may be (Illumina clarified this with me today. "The 4000 is a 2500 on steroids, it has the upgraded fluidics from the HiSeqX and can use a patterned flowcell." So this now begs the question: Why can't the 2500's we have be ugraded to use patterned flowcells? Why do we have to buy a $900K system to gain access to this technology?). The only difference between the HiSeq 3000 and 4000 is that the 3000 is a single flowcell system. 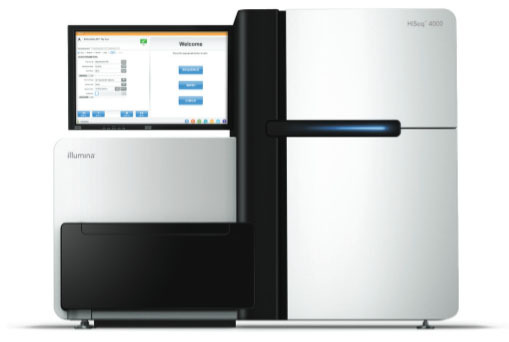 I can’t imagine this is going to be a big seller for Illumina, much like the HiSeq 1000/1500 which I never saw installed anywhere in the field (Illumina said that HiSeq 2500 owners that purchased a new system in the last 6 months will be able to get a HiSeq 3000 at a deeply discounted trade in rate. So that's how they might actually get a few of these out in the wild). Illumina also announced a couple of other releases yesterday such as the HiSeq X5 (five HiSeq X systems instead of 10) and a new NextSeq that has array capabilities. The X5 wasn’t a surprise since there have been ongoing internal discussions about this along with discussions about opening up the X system to exome and RNA-seq. It seems like Illumina has gotten around that latter issue with the release of the HiSeq 3000/4000 since there are no contractual restrictions on sequencing use on those systems. They do list “supported” prep kits which makes me wonder if they will still allow the use of third party library preparation and exome capture reagents on these new systems. I would assume so because there’s no real technological limitation to what can be put on these systems but the real question is if Illumina will continue to support replacing failed sequencing runs if the libraries were created with third party technology (There are no prep kit restrictions on the 3000/4000, although, not surprisingly, Illumina recommends using TruSeq/Nextera). They currently do not support third party preparation kits on the HiSeq X. In comparison to the HiSeq 2500, the HiSeq 3000/4000 is a significant improvement in speed and efficiency, however, there are important differences that continue to make the 2500 an attractive option. Two key differences between these systems is the patterned flowcell and the time to data on the 3000/4000 is 3.5 days vs a 6 day V4 run on the 2500. The HiSeq 3000/4000 does have a data output advantage, 750GB vs 500GB on the 2500. Even when we push cluster densities on our 2500 systems, the maximum output we can get is 650GB per flowcell. The 2500 does have a significant read length advantage with the release last November of the 250bp PE V4 rapid sequencing kit which can plow through 3 genomes worth of data in 60 hours. The HiSeq 3000/4000 does not have a rapid mode kit and is limited to read lengths of 25, 75 and 150 bp PE. It remains to be seen if the increased read lengths of the V4 rapid run provide a significant improvement in alignment and variant calling in hard to reach regions. We have yet to test this chemistry in any rigorous fashion and I worry about base call quality at the end of these longer reads on the 2500. I do think that the read length options on the 3000/4000 are a limitation since only the 75bp PE reagents can be used for exome sequencing. This definitely makes sense for capture users where the kits are optimized for ~200bp fragment captures; however; in our lab we use Nimblegen and have had great success capturing 300bp fragments without seeing a degradation of capture efficiency or bases on target. This allows us to take advantage of the 125bp PE V4 Chemistry on the 2500, but I think we would start to see adapter read through and decreased capture efficiency if we tried to optimize the protocol for even larger fragments. This also has the added problem of decreasing on target percentage since exons typically fall in the 200bp size range. It looks as if the HiSeq 3000/4000 is really shooting for the NIPT (25bp PE), Agilent/TruSeq/Nextera Exome (75bp PE), and Whole Genome (150bp PE) sweet spots with the reagent kit options. Although pricing information is not out yet, my contact at Illumina believes that a HiSeq 4000 run will go for about $30,000 which would put a 40X (120GB) genome at $2500 + prep + overhead (~$3500) (Pricing confirmed at $20/GB). This cost is not significantly different from the cost of a 250bp PE run on a HiSeq 2500. Again, it will depend on data quality, but I think for now it is probably best to stick with the 2500. This opinion is not based solely on cost but also Illumina has a long history of issues with new systems and the HiSeq X is no stranger to these types of problems. My contacts at the large sequencing centers that currently have HiSeq X installs say that there are problems with cluster duplication with some patterned flowcell runs coming out with in excess of 80% duplication. This only happens on flowcells that have too little DNA added, but this is still a technical bug that has not been fully worked out yet. This in addition to the typical system reliability issues on new HiSeq systems make me think that it’s probably a good idea to hold off on a new system upgrade until either the bugs are worked out or the cost of a HiSeq 4000 run becomes significantly cheaper than that of a V4 2500 run. Last year’s release of the HiSeq X and now this year’s release of the HiSeq 4000 have me thinking about Illumina’s long term strategy (and also our center’s long term investment strategy!) I know of a number of centers that were caught off guard by last year’s HiSeq X release and V4 reagent upgrades. There are certainly other centers that are very upset about this release. Making a significant improvement to the HiSeq 2500 with the release of the V4 reagents last summer, and the 250bp PE chemistry last November so close to the release of a new sequencer does not seem like a great strategy for keeping customers happy. Those releases, without a doubt, helped drive sales of 2500’s last year, and now those systems are 3rd best in the Illumina stable. That’s an infuriating business practice. These systems cost a million dollars each, and for most centers that purchase these instruments, it is a large capital investment that needs to be amortized over a minimum of 3 years. I do hope that Illumina is not going to adopt the Adobe/Apple business model of releasing marginally improved systems on a 1 year release cycle with no upgrade path for older systems. Making large capital investments like this in such a short period of time is not sustainable for many centers and does not promote user confidence. It may be that the HiSeq 4000 is Illumina’s next milestone sequencer, but as has been in the past with other HiSeqs I anticipate we will see marginal upgrades to this system over the next few years. How or if these upgrades will be applicable to older systems is a major question, but if we use the HiSeq 2000 as an example, only a small percentage of those systems were able to be upgraded to handle the V4 chemistry and the other systems became paperweights (true for 5 of the systems in my sequencing lab at Duke). Maximally, we got 3 years of use out of those systems, which seems convenient for Illumina. I have heard rumors that the long term development path for the patterned flowcell is to decrease the distance between the nanowells to increase cluster density. This would foreshadow vast improvements in data output, and likely, costly camera and computer upgrades over the lifecycle of this system. It will be interesting to see how all of this plays out over the next few months and how this sequencer release will affect the overall sequencing landscape. PacBio, Oxford Nanopore, and others are making significant improvements to their technology. Of the major players here, Oxford Nanopore is the only company with a device that could warrant this extremely accelerated technology release schedule seeing as how its technology retails for a couple orders of magnitude less than a signle Illumina system. A $1000 hit to the wallet is much easier to swallow than a $1,000,000 one.